Dr. Rita Pemberton is a former Senior Lecturer in History at UWI, St. Augustine. She holds a PhD from UWI and has taught the History of Trinidad and Tobago, Imperialism and various aspects of Caribbean History at UWI St. Augustine from 1990- 2013. She is a former Head of the Department of History and Deputy Dean, Student Affairs in the Faculty of Humanities and Education and a past President of the Association of Caribbean Historians. She has served the Caribbean Examinations Council (CXC) as a member of the CSEC Caribbean History Examining Team since 2000 and from 2008-2016 she was Chief Examiner Caribbean History. 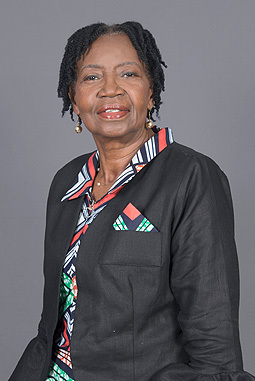 She was a Member of the Working Committee of the Sub-Committee to Revise the Tobago House of Assembly Act and the Position of Tobago in the Constitution of Trinidad & Tobago from 2008-2012. She was awarded a Bishop’s High School Outstanding Alumnae Award in 2008 and a Queen’s Jubilee Research Scholar Award in 2013. “Cuba and the Anglophone Caribbean: Perspectives from Trinidad and Tobago” in Nicole Roberts, Armando García de la Torre and Mauricio Nuňez Rodriguez (eds.) Trinidad Y Tobago/Cuba: Historia, Lengua y Literatura. Havana: Advana Vieja. 2018. Joint Author: Study Guide: Caribbean History for CSEC. Oxford: Oxford University Press, 2018. Mr. Glenn Khan is a former Principal and a former Mathematics and Physics teacher. He gained his M. Ed. In Educational Leadership from The University of the West Indies, where he also obtained a BSc. Mathematics and Physics double major. He was a former Life Skills Tutor at NESC and also a former member of the Textbook Evaluation committee (Physics). 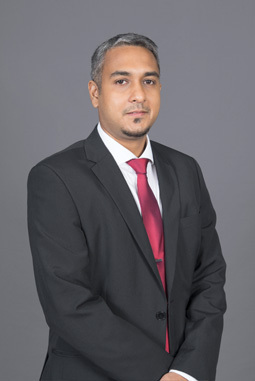 Mr. Khan currently serves as a member of the COSTAATT Board of Trustees. Claudine Richardson-Sheppard is a registered nurse and a full-time lecturer at the University of the West Indies, School of Nursing in Quality Management for Healthcare, Organizational Management with extensive training and experience in Leadership and Quality Management. Her passion is to help others develop their potential in the specialty of their choice. She is a Fellowship member of the International Society for Quality in Healthcare (FISQua). Her objective is to apply her many years of acquired experience in healthcare delivery, administration, management and education, to the development of a cadre of highly trained nurses and nursing administrators who will contribute to the transformation of the health care sector into one that provides safe, effective and high quality healthcare. 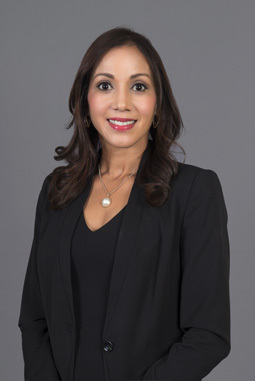 She graduated from the University of Trinidad and Tobago with a Master’s degree in Health Administration, 2010 and a Bachelor of Arts Degree in Business Administration in 2006. Presently, she is a PhD candidate at the University of Trinidad and Tobago. Her other educational achievements include an Advanced Diploma in Business Administration, Diploma in Business Administration, Certificate in Project management, Certificate in Basic Epidemiology, Certificate in Health Information Systems Management, Certificate in Medical and Surgical Nursing. Certified Quality Auditor, and a Certificate in Quality Management. Her previous job positions were Chief Executive Officer at the North West Regional Health Authority (December 2009- September 2011). Hospital Administrator, Port of Spain General Hospital (October 2008-December 2009) General Management Quality at the North West Regional Health Authority (2006-2008). Ms. Janine Knaggs is a Director at Knaggs Developers Ltd. She was educated at Brasenose College, University of Oxford where she read Law and qualified in 1994. She attended the Hugh Wooding School of Law and passed the Bar exam in Trinidad & Tobago in 1996. In 2001 Mrs. Knaggs graduated from the University of Miami with a Masters in International Tax Law (LLM) and is currently the C.E.O. of Granite City Consulting (Trinidad) Ltd. which publishes the Trinidad & Tobago Energy Guide; and introduced the Trinidad and Tobago Energy Exchange, an ICT initiative designed to aid Operators and Contractors in the Pre-qualification registration process. Granite City Consulting (Trinidad ) Ltd is a sister company to Knaggs Developers Limited. Ms. Knaggs was appointed to the Board of Trustees of the College of Science Technology & Applied Arts of Trinidad and Tobago (COSTAATT) in June 2016. Walda Dottin-Matthew was an educator for approximately 25 years at primary, secondary and tertiary levels. She has been the Science Facilitator for Primary teachers, an External Assessor for teacher trainees and a Tutor in Clinical Supervision and Teaching of Primary Science. She has been awarded both government undergraduate and UWI postgraduate scholarhips. Ms Dottin-Matthew currently sits on the COSTAATT Board of Trustees and is also Adviser to the Minister of Planning and Development. She is also the Director of Orange House Foundation, a not-for-profit organization that does charitable works in the Arouca area. He is a Senior Lecturer in Energy Systems and Postgraduate Coordinator within the Department of Electrical and Computer Engineering at The UWI, St Augustine Campus. 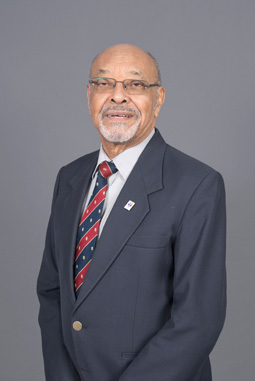 He has served as, the Assistant Chief Examiner for CXC’s CAPE Electrical and Electronic Technology, a member of CROSQ (CARICOM Organization for Standards and Quality) Technical Sub-Committee on Electric Cables at the Trinidad and Tobago Bureau of Standards, the Committee for the Certification of Energy Service Companies, Ministry of Energy and Energy Affairs and the Chairman of the Electric Vehicle Working Group at the Government Electrical Inspectorate. He is a technical reviewer for many IEEE Transactions and has published numerous scholarly articles and industry oriented technical reports, in power system operation and planning, renewable energy integration, asset management and dielectric ageing focusing on electrical treeing within polymeric cable insulation. He also advises on local and regional power engineering technical issues. Mrs. Jennifer Boucaud-Blake is a retired career public officer whose service spanned administrative, technical, managerial and leadership positions, culminating in that of Permanent Secretary which she held for the last nine years of her career. Having mastered the fundamentals of public service operations in her early career, augmented by university training and qualifications, she launched into management consultancy with a focus on transformation activities across the public service. Her specialization further expanded when she was promoted to the position of Senior Human Resource Officer in the Ministry of National Security and steadily elevated to portfolios of Director Human Resources, Deputy Permanent Secretary and Permanent Secretary. In this last position she provided strategic and administrative leadership in one of the largest and most complex ministries in Trinidad and Tobago, encompassing military, quasi-military and civilian operations. Academic training for Mrs. Boucaud-Blake can be described as well-rounded and continuous. Her professional development, inclusive of exposure to training in both local and international settings, provided her with cutting-edge skills that were successfully applied in support of transformative initiatives to improve service delivery in the public service. At the culmination of her career in 2014, she was honored with a National Award – Public Service Medal of Merit (gold). 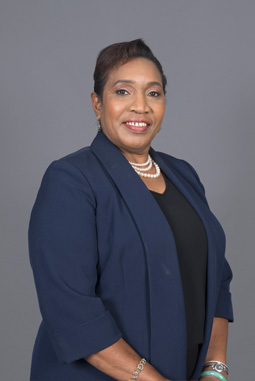 In subsequent months, she became involved in providing consultancy service that include the United Nations Development Programme (UNDP) and the University of Trinidad and Tobago (UTT) and continues to contribute to the transformation of the Trinidad and Tobago Public Service. She was appointed to the Board of Trustees of the College of Science Technology & Applied Arts of Trinidad and Tobago (COSTAATT) in June 2016. Professor Edgar Julian Duncan entered the University College of the West Indies (UCWI) – then an external college of London University- in 1957, to read for a Bachelor’s degree in Science, majoring in Botany and Zoology with Chemistry as a minor; he graduated in June 1960. Based on the results of the final examination taken, he was awarded the first Sir James Irvine Memorial Scholarship, tenable at the University of St. Andrews, Scotland, from which he graduated in 1963 with the degree of Doctor in Philosophy. He took up appointment as a Lecturer in Botany at the then College of Arts and Sciences on the St. Augustine campus of The University of the West Indies (UWI) in October 1963 and was placed in the Department of Botany of the Faculty of Agriculture. He lectured for 35 years at the institution, broken only by a period in 1975 to take up a Deutsche Akademische Austauschdienst Dienst (DAAD) Fellowship at Freie Universitat, Berlin, Germany, and an exchange lectureship at the University of Reading, England in 1976. During his stint at The UWI, he lectured in a number of courses in botany and supervised the research of 22 students, 6 at the doctorate level. He was promoted to the level of Senior Lecturer in 1973 and Professor in 1990. In the inaugural year (1994) of the Vice-chancellor’s Award for Excellence he received an award for excellence in Teaching and Administration. In 2000, he was awarded a Lifetime Achievement Award in Agriculture (for pioneering Contribution to Plant Tissue Culture Research and Development) by the National Institute of Higher Education (Research, Science and Technology) NIHERST and in 2005, named among Caribbean icons in Science, Technology and Innovation by the CCST/NIHERST and later, among Trinidad and Tobago Icons in Science and Technology (NIHERST). 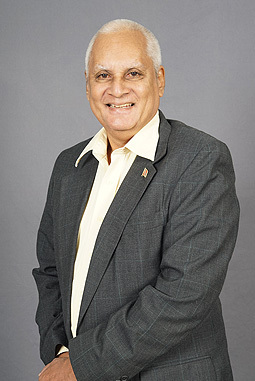 He has represented Trinidad and Tobago on the Board of Governors of the International Centre for Genetic Engineering and Biotechnology (Italy/India). On his retirement he was conferred the title of Professor Emeritus by The University of the West Indies. He continues to serve at the institution as a supervisor of research students and as Editor-inChief of the journal Tropical Agriculture. Professor Duncan is no stranger to COSTAATT; he has served for years on the Advisory committee to the Department of Environmental Studies. He hopes to continue giving his best service to the institution in his capacity as a member of the Board of Trustees. 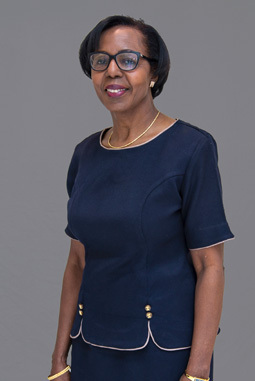 Ms. S. Valerie Kelsick has an extensive and diverse background covering over thirty five (35) years combined experience in project management, project finance, banking, financial and management consulting, facility maintenance and consulting engineering. Ms. Kelsick holds an MBA in Finance & International Business, from Columbia Business School (USA), a Bachelor of Science degree in Civil Engineering from the University of Southampton (UK) and the PMI’s Project Management Professional (PMP) (USA) credential. She is a Registered Engineer with the Board of Engineering as well as a Fellow of the Association of Professional Engineers of Trinidad & Tobago. 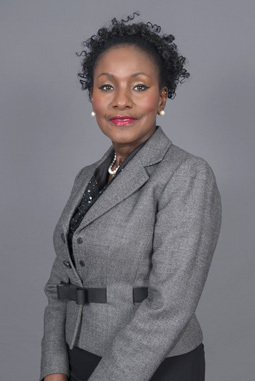 She also possesses various professional credentials having completed courses including Chartered Director Programme from Caribbean Corporate Governance Institute (TT), public private sector partnerships, mediation and construction contracts. She is a project manager at Republic Bank Limited managing construction and bank related projects. 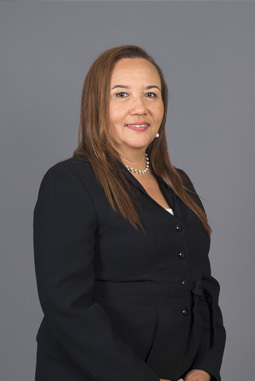 Ms Kelsick is the current President of the Association of Professional Engineers of Trinidad & Tobago (APETT) and also serves on the Board of the Fondes Amandes Reaforestation Community Project (FACRP).